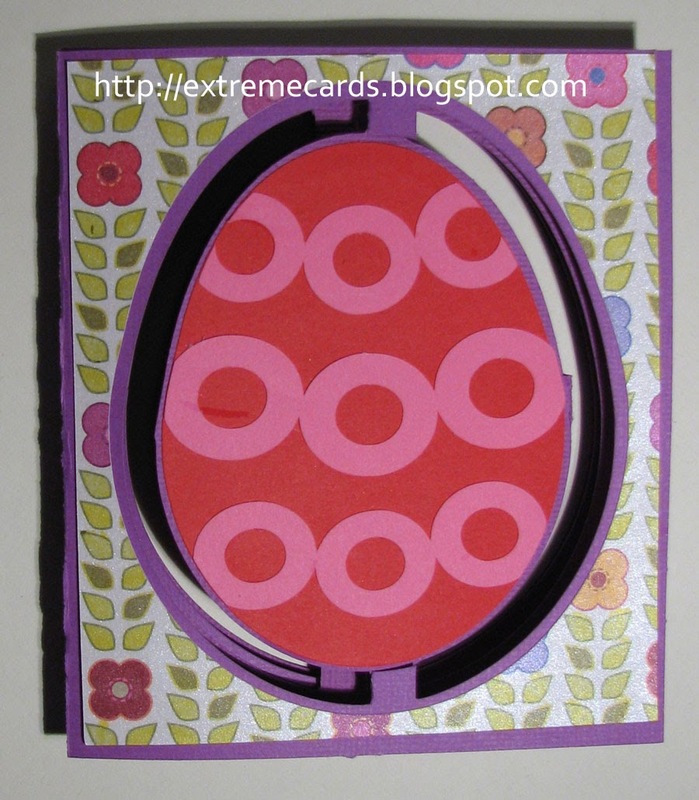 We were talking about the Sizzix 3d circle accordion flip card on Card Making & Paper Crafts with Silhouette and it inspired me to create a similar pop up card with an egg-shaped accordion. 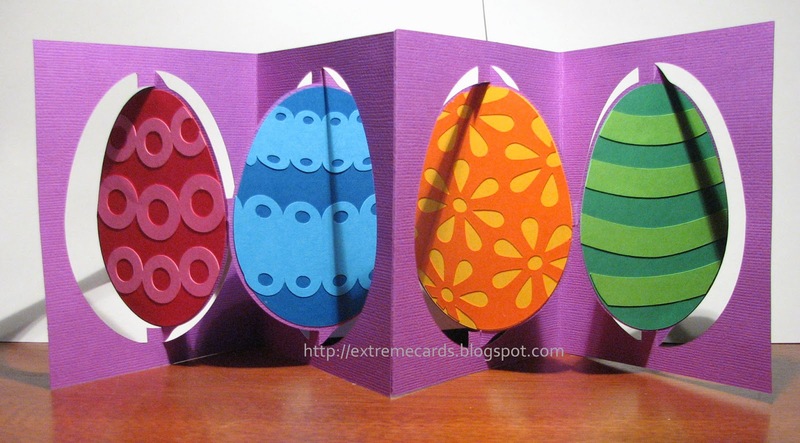 The Easter egg decorative cut files are adapted from designs by Bird's Cards. This pop up card is not hard to make, although there's quite a lot of cutting and some fiddly gluing to tab the eggs together.